Only about two weeks until 26 March and the release of LOGAN'S LADY! Advance readers are loving this book, and I hope you do, too! While we wait, here's the last excerpt from the book, and a reminder of my upcoming contest! "You're late," she told him. Logan hardened a little at her snippy attitude. "What?" "I asked you to come right away, Mr. Best." Logan glanced at the sheriff, who shrugged. "I told you to hurry it up," White said. Logan looked back at Elizabeth. "Ma'am, I'm not a man who takes orders. And I was on the trail several days before I came here and - I might remind you - helped you. I was damn tired last night, so I slept in." "You probably drank too much and slept with one of those awful painted women. I know about men like you. I've read about them in penny dreadfuls." Logan could hardly keep from bursting out laughing. "In WHAT?" "Penny dreadfuls. I've learned here in America they are called dime novels." Logan couldn't control a little gasp of laughter. "You BELIEVE those things?" "Was I wrong about where you were last night?" Never in his life had Logan struggled so hard to stifle a true guffaw. "No, Ma'am, you were not wrong, but life out here isn't always like what you read in those little books. I've heard about them and they're food for a lot of jokes among men like us. Believe me, there aren't many heroic cowboys or lawmen out here." "Have YOU ever read one of those little books?" "DO you read, Mister Best?" Logan still felt sorry for this poor young lady, but already he wasn't fond of her as a person. The "princess" from London had an air about her he did not like at all. *1 reader will receive an autographed (print) copy of LOGAN'S LADY plus goodies. *1 reader will received autographed (print) copies of all 4 of my "Outlaw Hearts" books PLUS an autographed (print) copy of LOGAN'S LADY plus goodies. 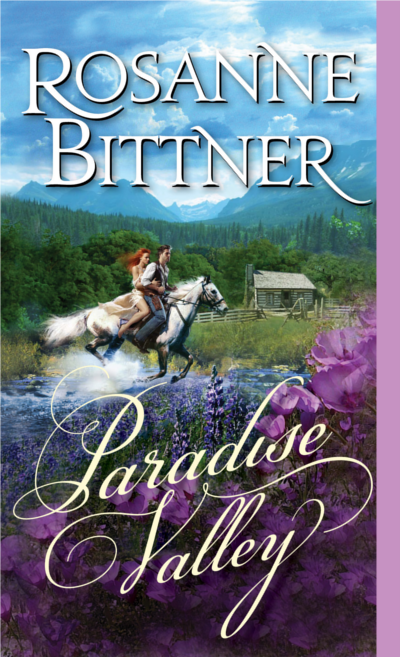 *1 reader will received an autographed (print) copy of "Logan's Lady" PLUS autographed (print) copies of my next TWO books when they are ready - CHRISTMAS IN PARADISE in September and RIDE THE HIGH LONESOME in November - PLUS a secret gift! Only about a month now until 26 March and the release of LOGAN'S LADY! Advance readers are loving this book, and I hope you do, too! While we wait, here's another excerpt from the book, and a reminder of my upcoming contest! Sheriff Jack Teller awoke with a start when cold air rushed over him from an open door and something heavy hit the floor of his office. His first reaction was to reach for his gun. * 1 reader will receive an autographed (print) copy of LOGAN'S LADY plus goodies. * 1 reader will received an autographed (print) copy of LOGAN'S LADY PLUS autographed (print) copies of my next TWO books when they are ready - CHRISTMAS IN PARADISE in Septemer and RIDE THE HIGH LONESOME in November - PLUS a secret gift! HERO OR HEROINE? WHICH IS YOUR FAVORITE TO WRITE? I am currently writing my 71st book – part of a series of stories involving the old Outlaw Trail, which runs north and south along the Rocky Mountains. After writing so many books, it can sometimes become a struggle to come up with a story line that is different from anything used in all my other stories. 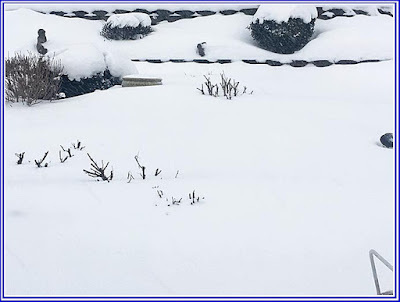 Just using different historical events and locations helps form new situations, but creating brand new ideas can still be difficult when you write from one to three books a year for nearly forty years. Still, it’s not always coming up with a new story idea that is the problem. 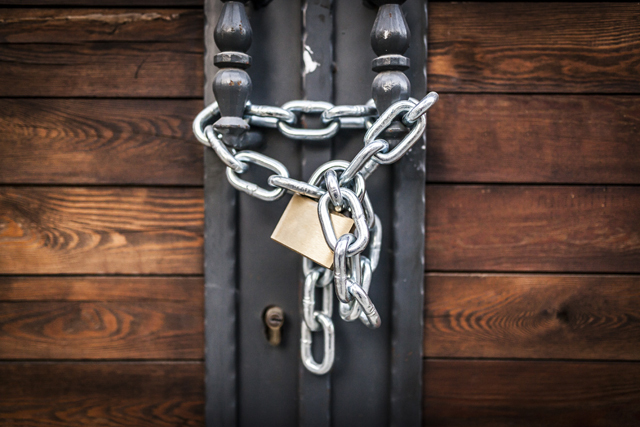 Sometimes it is the characters who are the problem, most notably the kind of characters you, as a writer, prefer creating (and the kind your readers expect you to write). Narrowing it down even more, do you prefer writing the hero, or the heroine? I began to realize that was my problem when I started this new book, which will be called THE LAWLESS BREED. I don’t use outlines. Ever. They bore me, and I never follow them anyway. I just start a book based on one tiny idea, time period and location – then I study some of the things that were going on in this country at the time to see how I can weave that in – and off I go, or, I should say, off my characters go. However, I truly struggled at the starting gate when I sat down to write THE LAWLESS BREED. I wrote the whole first chapter – didn’t like it – tossed it out. I re-wrote the first chapter – didn’t like it – tossed it out. I re-wrote it again – felt I was onto something but still wasn’t entirely happy with it. I didn’t toss out the third version, but once I knew what I really needed to do, I re-wrote it yet again, brought in the hero then and there, and now I’m happy with where this story is going and am on Chapter Five. Deciding on the murderer and his motive was not my problem. My problem was the HERO, or lack thereof. I didn’t have one yet! It struck me then that I have never once had a problem fleshing out a story as long as I had a hero I really, really liked and knew his background and why he was important to the story. I almost always base my stories on the HERO, not the heroine. Even though I might not have any kind of outline and I let the story just “happen” for me, I can’t write that story until the HERO and his part in the story is completely clear to me. In all the books I have written, and after all these years of writing, I realized that for a book to come together for me, I have to be in love with the hero, and I need to know his story. For some reason I can’t identify with the heroine until the hero is completely in place. Once that happens, then I can more easily flesh out the heroine and her feelings and where she is coming from as it relates to the hero. If I start a book based solely on the heroine, it’s hard for me to even like her or to care about her. When I look back at all those other books I have written, I realize that I almost always bring the hero into the story within the first to third chapter, and sometimes I start the book with the man instead of the woman. It all boils down to … I LOVE WRITING MEN! And I only love writing the women in their lives if those women are strong and brave enough to love and put up with the men. In my Outlaw Hearts series, hero Jake Harkner is the ultimate bad man with a good heart. 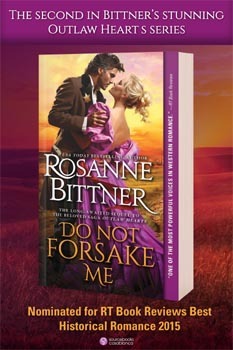 No man is brave enough to challenge Jake, but his wife Miranda can bring him right to his knees. As he puts it in one of the books, “She’s the air I breathe.” Now that’s the kind of heroine I enjoy writing. Her actions, emotions and decisions are nearly always based on her love for the hero. In this current book, I couldn’t bring myself to care about the heroine because in that first chapter, the hero was not mentioned or even thought of. So, I decided to bring him into the story right away. At the very end of the first chapter, in the midst of the heroine’s terrible plight, the hero shows up – very unexpectedly! The heroine is alone at her country house - has found her mother murdered - is scared and confused. She doesn’t know if the killer might still be around and she might be in danger herself. She is devastated over her mother’s violent death and can’t imagine who could have done such a thing. She runs outside to saddle a horse to ride into town and report the murder – and - low and behold - she sees someone riding up the path to her house. The heroine freezes in place, realizing she doesn’t have any kind of weapon with her. Is the man riding toward her the murderer? 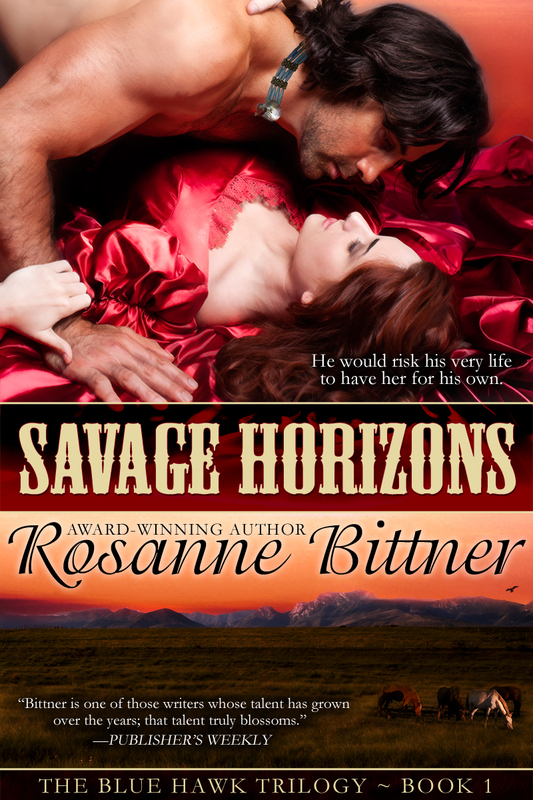 When he gets closer, she realizes, in near shock, that the rider is a man she hasn’t seen for five years – a man she once loved but who rode out of her life after a terrible tragedy that tore them apart. She’s heard that after taking part in the Civil War, this man turned to an outlaw life. He might even be wanted. She thought she would never see him again, yet here he is, riding right back into her life at this devastating, confusing moment. Last line of the first chapter reads: Ashley’s already-confused emotions took a dive, stabbing right through her heart like a sword. The minute I wrote that last line, I was “into” the story and in love with the mysterious “Nick,” even though I still didn’t know anything about him. I even liked the heroine more. I could feel her emotions. And I know that the readers will immediately sense there is a strong, mysterious connection between Nick and the heroine. They will want to hurry into Chapter Two to see what this man is all about because even I want to know !! This relationship will be revealed slowly – teasingly – as the story unfolds, which will keep readers turning the pages. I can’t write a book unless I am so excited about it, and especially about the hero, that I can’t wait to get back to the computer and – literally – see what happens next, because I DON’T EVEN KNOW MYSELF until I start writing each “next” chapter. 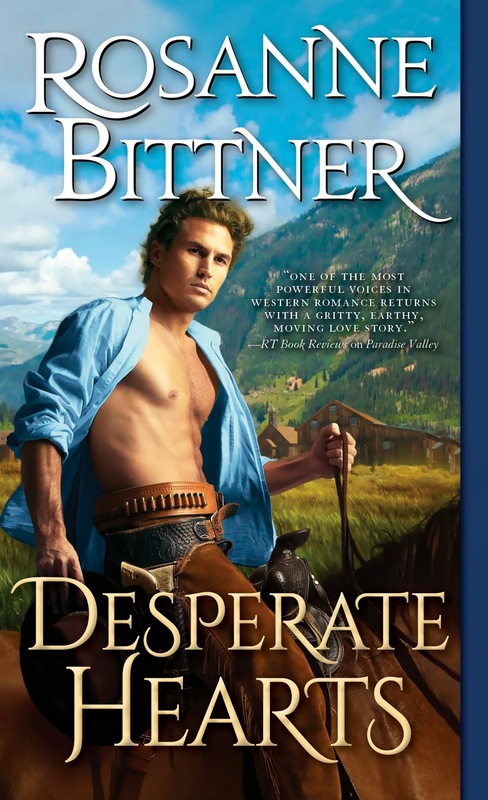 All I know is that I want to find out more about this guy who rode into the first chapter, and about his relationship to the heroine. Through all of this, and looking back on all my other books, I realize I have always loved writing the hero. I loved Louis L’Amour’s books. I devoured them when I was younger. Yet most of them were 90% about MEN and their exciting and dangerous lives. There was very little romance of any kind in his stories, yet they were romantic because the MEN were romantic just in their bravery and sureness. What woman wouldn’t love L’Amour’s men, no matter how difficult they might be to live with. In times of old, a woman needed a man who was strong and brave and able – yet in our stories that man must have a deep respect for a good woman. And when I write, I “become” that woman. I remember wishing L’Amour had more romance in his stories, and that’s how I ended up writing men similar to his, but I always bring a woman into the hero’s life. I have had many reviews that compare my writing to L’Amour’s. 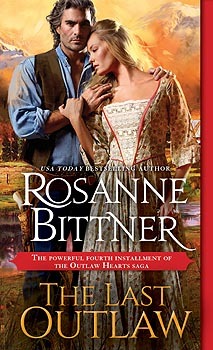 Some of my westerns have even been called “gritty.” That’s fine with me, because that means I am also writing very strong heroines, women who know how to love their men and how to survive the perils and dangers of the American West. I think I love writing men because I envy the power men usually have in decision-making, in body strength, in their protective nature. Of course, it’s not so much that way today. Women are far more equal in most ways today, but even though my books are written in a time when the woman was more submissive to the man, my heroines always find ways to slyly lead the heroes around by the nose without them even knowing it. That is so much more fun to write than the bossy, domineering, “I can live without a man” attitude of some modern-day women. Today’s women think the “me, too” movement is something new. I beg to differ. Women have been “in charge” in clever, subtle ways since the beginning of time. It is so much fun to write the brave and dangerous hero who “thinks” he is in control but who can be very submissive when it comes to pleasing the woman in his life. When I write that kind of woman, I totally love and identify with her. I have always fought with my own desire to write just men. I had to learn to write heroines who were as strong and important as the hero and with whom my readers could identify. I came to like writing the heroine only when she could match the hero in strength and bravery, and when she loved the hero so deeply (and visa-versa) that they literally lived off each other’s love. They share a bond strong enough to be able to face danger and adversity together and be able to forgive each other’s mistakes and weaknesses. They might disagree. They might even leave each other or be torn apart in some way. But they always come back together. Their love is their strength. If I was forced to make a choice of writing a story that is completely about a man – or completely about a woman – I would pick the man every time, even if it was a contemporary. Why? I guess it’s a mixture of having that kind of power, combined with the fact that most men don’t have a clue about what women really want. When we write our heroes, we can create the almost-perfect man – brave and strong and able, yet a man who totally respects the woman in his life. RESPECT FOR THE HEROINE. That is the NUMBER ONE key to writing a hero with whom our readers fall in love. He is the strong one, but it is her love that gives him that strength. He is the decision-maker, but those decisions are based on her advice and wishes. He does the grunt work, but she feeds him so he has the strength for it. He might want children, but only she can give him those children. He is able with guns and fists, but she is right behind him, maybe even ready with her own gun or whatever she can find to back him up. He teaches his son survival, but she teaches kindness and wisdom, as well as does the schooling. He thinks he is in charge in bed, but she is slyly letting him know what she likes and how she likes it. He is the angry one, but she knows how to calm him. He might think something from his past makes him worthless, but she teaches him his worth. He’s the macho man who practically worships his woman and darn well knows how to treat her … while all the time not even realizing SHE is the one in control. I love this type of relationship. I love the control a man THINKS he has, and I love controlling him. Now, I have to get back to writing THE LAWLESS BREED and find out what Nick is like and why he has ridden back into the heroine’s (Ashley’s) life. I also look forward to seeing how Ashley handles this man, who is now a wanted outlaw. These two will collide in more ways than one, but Ashley will find a way to tame him – and to make sure he never rides out of her life again. 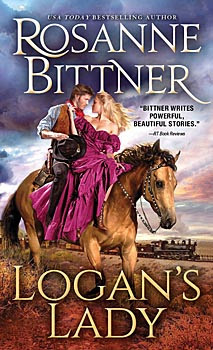 LOGAN'S LADY is coming in about two months, and you are going to love this dramatic but often humorous story about an uneducated, rough and tumble American bounty hunter (Logan Best), who ends up coming to the rescue of prim and proper, highly educated “Lady” Elizabeth Bennett from London, England. These two are as opposite as two could be, but an unexpected attraction between them grows into something neither can resist, while at the same time they track down ruthless men who have absconded with Lady Elizabeth’s money and personal valuables. Logan didn't take his eyes off any of them. "You look more like the type who'd rather make money by just taking it. You won't find much on me, so maybe you should just ride on." The red-bearded man stiffened. "Mister, I don' t take kindly to insults. We only stopped by to see if you'd like to sell that horse of yours." Logan grinned. "Why in hell would I sell my only horse when I'm out here in the middle of nowhere?" The bearded man chuckled. "On account of the fact that you ARE alone in the middle of nowhere. You must realize if you don't sell us that horse, we can just shoot you and take it." Logan nodded. "You can try, but you'll regret it." The younger man snickered. "Hell, mister, there's four of us!" "I've taken on more in my line of work." "And what would that be?" a third man spoke up. Logan guessed him to be in the same age range as the others, all probably twenty to thirty years old. He could actually smell them without even getting close. "Bounty hunter," Logan answered. "Any of you wanted for anything?" We are told “that first page” can make or break us, and it truly has done both to a lot of writers.There are readers who will judge your book by “that first page,” and if you lose them there, you’re doomed. Or, if you totally catch their attention, they will likely buy your next book, as long as what follows “that first page” doesn’t disappoint them. It isn’t easy to find just the right words for “that first page,” let alone the words for the first line. That, too, is important. But sometimes it takes a full first page to hook your reader. Most readers will give you at least that much if you don’t grab them with the first line. The biggest problem with how to start your book is that sometimes things need to happen before you get to the real hook for a line or page. The author has to figure out how to get to that defining moment without leaving out important story events. Just always remember the READER, and that you want something that will quickly get them involved in your story. 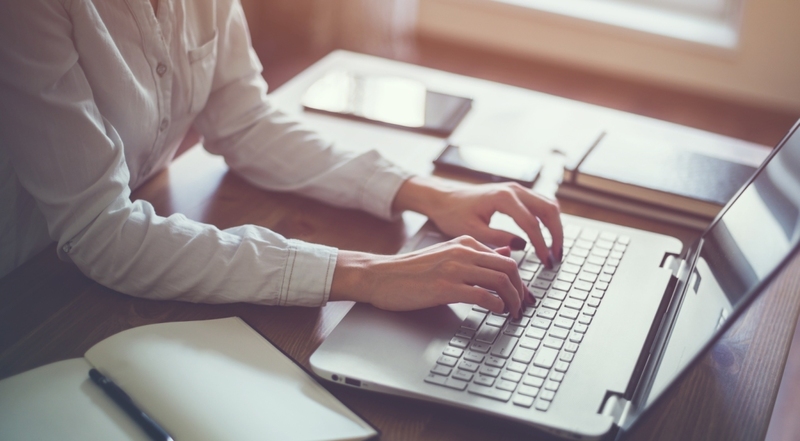 I usually get to the good stuff right away – something that makes for a good first line or a “first page” that pulls the reader into the story. I can always find a way to give the reader more details about that event later in the book. Ninety-Nine percent of the time, the things I think I need to write first, as a build-up to my “hook,”end up being unnecessary after all. It’s important to find other ways to tell the back story that led up to what happens on “that first page” than to bore the reader with it at the beginning of the story. Telling back story later also makes for more active writing from there on, as the hero or heroine, through action and dialogue, gradually explain how he or she reached that point and ended up in that dire situation with which you opened your story. 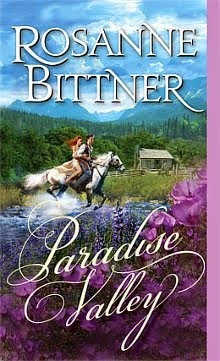 In my book PARADISE VALLEY, the story opens with Maggie Tucker digging a grave for her husband. How did he die? Why is she alone in the middle of Wyoming? No one knows at first. Readers wonder those things, and they keep reading to find out. The first chapter of my story ends with Maggie collapsing after a stranger (the hero, of course) comes along and offers to help. So by the end of Chapter 1, the reader has been introduced to both the hero and heroine, and in a way that makes them wonder about both characters and makes them want to read more. Then, as the story progresses and they get to know each other, Maggie reveals what happened, while at the same time we learn more about the hero. I could have started PARADISE VALLEY with Maggie on her way to Oregon with her husband when they are attacked by outlaws, but I kept thinking how much more mysterious and interesting it would be to open my story with Maggie digging her husband’s grave. Plus, telling too much too soon would have brought Maggie’s husband into the picture, and I didn’t want to do that. I wanted all the attention to be on the hero, who comes along later to help Maggie. I didn’t want to give my readers a third character to have on their minds or to feel sorry for. Yes, he was Maggie’s husband, but he was not important to the story, strange as that sounds. In my newest book, LOGAN’S LADY, (March 2019 – Sourcebooks) the story starts with the heroine (who lives with her wealthy older brother in London) involved in a huge family argument that keeps you reading to learn what it’s about and how it will be resolved. In that first chapter the reader learns a lot about the heroine’s rather brave and daring personality, and it ends with her deciding she will leave London and go to America. By then I have set the reader up to wonder what will happen when she gets there. Here I took TWO chapters to really capture my readers. The first one hooks them, the second one reels them in because they just KNOW the lovely, educated, sophisticated “Lady” from London is going to end up somehow mixed up with the rugged, ill-mannered, uneducated Logan Best, and the pairing is going to be very interesting, let alone humorous. For the first half of the book, one chapter follows Lady Elizabeth, and the next follows Logan, back and forth as each character takes an exciting path that readers can tell will lead to the inevitable “clash” of personalities and culture. 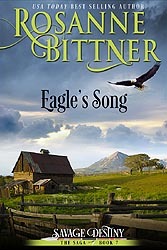 There is a lot of great humor in this book, as well as adventure and, of course, romance. You do not necessarily need a first line that “hooks” your readers, but it should at least hint at what’s to come; and by the end of that first page, what’s to come should be pretty darn obvious. Most readers will stick with the book through the first chapter, so by then make sure you have made it pretty clear where your story is going, and that it’s going to be exciting. As a writer, don’t spend too much time fretting over “that first page.” Just consider what is most exciting about how your story begins, and even if something has to happen before that, get to the good stuff and find a way to cover the pre-events after you have your readers hooked. Sometimes you can include those events, but don’t dwell on them for pages and pages. “That first page” can be a real challenge, I know, but remember the READER at all times. Pretend you are the reader. Where would you like the story to start in order to make you want to keep reading? In the book I just started writing for Sourcebooks (the first in a trilogy of books set against the Outlaw Trail) the story opens with the heroine, who is lost and hungry and thirsty and alone in a wild, untamed western landscape, coming upon a gang of men about to hang a man. She ducks down out of sight, not sure what to do. Immediately the readers will wonder - Who is the man about to be hanged? Who are the other men, and can they be trusted? Are they good, or are they outlaws? And how did the heroine end up wandering alone in lawless country without food and water? How can she possibly help the man about to be hanged? And should she help him at all? Maybe he deserves it. Either way, it’s a terrible thing to see, and when the other men ride off while the hanged man’s feet are still kicking, the heroine, of course, decides she has to do something to relieve the hanged man’s agony. This opening leaves a lot of questions readers will want answered, so they will keep reading to find out who the man is, and also – what led the heroine to the situation in which she finds herself. And, of course, will she be able to save the man? She is driven not only by a desire to help his awful suffering, but also by the fact that his accusers left the man’s horse and supplies behind when they rode off – things the heroine needs to survive.